Dekoni Blue Featured in the HiFi+ Ultimate Headphone Guide 2018!! 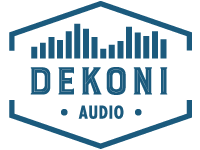 So you want some Focal Measurements with the Dekoni Audio Ear Pads? Dekoni Audio Sennheiser HD800 Ear Pad Frequency Extravaganza!! How important are replacement ear pads on your headphones?